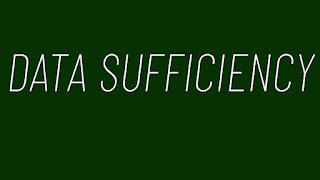 Data sufficiency questions consist of questions and two statements. These statements contain data or information. Questions are based on any topic which we have already studied in quantitative aptitude viz , Numbers, Averages , Percentages, Mensuration, Algebra and reasoning topics like blood relations , puzzles etc. 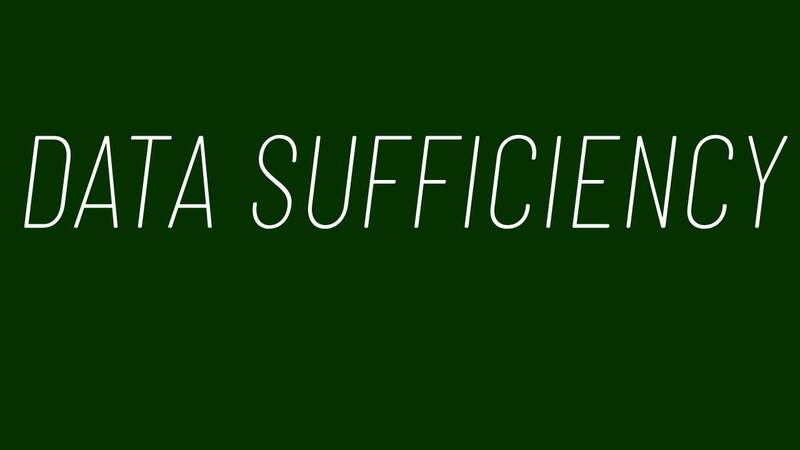 Data sufficiency questions are not only difficult but confusing also. Data sufficiency questions require deeper knowledge in the subject area.Test takers generally get confuse with the given information. Option E : Statements (1) and (2) TOGETHER are NOT sufficient to answer the question asked, and additional data specific to the problem are needed. In data sufficiency questions, to answer the questions, students don’t actually have to calculate the values or answers. Students only have to determine whether the data given in the statements are sufficient to find the answer for the given question. 1. The most important is understanding the options. In CAT exams, students may have data sufficiency questions with 4 options and in GMAT options are fixed .In some other competitive exams options in data sufficiency question vary. 4. Check the statement 2. Look at the information given in the statement 2 . Most important that when information given in statement 2 is considered, just forget the information given in statement 1. See whether the information given in statement 2 only is sufficient to answer the question. 5. 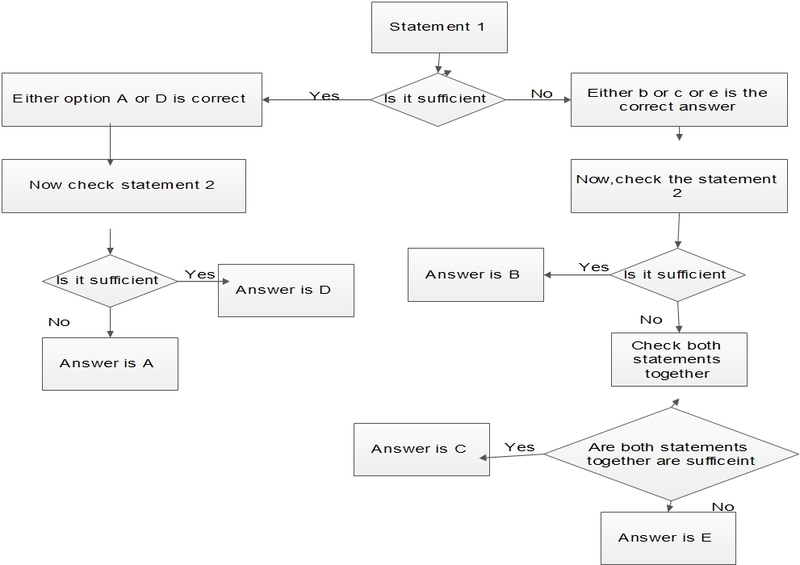 When the statement 1 and 2 are individually not enough to answer the question, use the information given in the both the statements.